Life in the emergency department at Health Sciences Centre's Children's Hospital can be fairly hectic. That's especially true when it comes to treating kids with injuries during the summer. Just in the last week, I have treated a number of kids for injuries, including four for broken arms and five for head injuries. And I am not alone. There are dozens of health-care providers in our department and we are all kept extremely busy during the summer months patching up kids. It's the same across the country. A study in 2011 noted that the injury rate among Canadian kids between the ages of 12 and 19 in 2009-10 was about 27 per cent higher than any other age group. The largest share of those injuries occurred during June, July and August. The fact that summer injury rates for kids rise with the mercury shouldn't come as a surprise. 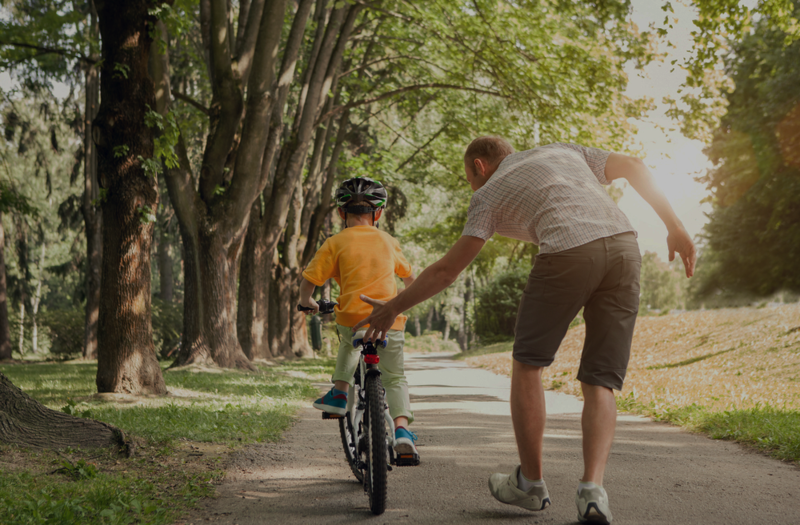 After all, kids of all ages spend more time outdoors during the summer and that increases the risk of injury. But the troubling thing is the injury rate for kids appears to be on the rise. There are many reasons for this, but one of my theories involves YouTube. Kids will try to imitate the tricks and stunts they see online without realizing how much practice time it takes for the professionals to make a video good enough to post. So what are the most common injuries and how can they be avoided? By far and away, the most common types of injuries we see at Children's emergency are sprains, lacerations, broken arms and head injuries, usually due to falls. The kids who sustain these injuries range in age from five to 16. Generally speaking, the younger ones will be injured while falling from a play structure or a tree. The older kids tend to suffer their injuries while skateboarding, riding a bike, or playing various sports. Parents of younger children may be tempted to reduce the risk of injury by keeping their kids off play structures or trees. But that's not necessarily the right thing to do. The fact is all kids need to play and they need to learn how to take appropriate risks as they do. This helps with development of their motor skills and judgment. The best thing a parent or guardian can do to minimize risk is to be there to supervise the child when they are playing. That will ensure that the child is able to play without taking unacceptable risks that could lead to injury. Head injuries, or concussions, are a problem. I would estimate that we see about four to six kids with head injuries every day at Children's emergency. Many cases - about 20 to 25 per cent - involve kids who were skateboarding or riding a bike without a helmet. These are potentially serious injuries that can be fatal or affect a child for the rest of his or her life. Helmets will not prevent all concussions, but they will reduce a child's risk. A review of studies published last year by statisticians Jake Olivier and Prudence Creighton at the University of New South Wales in Australia underscores the point. It noted that using a helmet could reduce serious head injuries by 70 per cent. It is also important to make sure your child is well prepared. I coach a class on mountain bike riding, and you would be surprised at how many kids show up with bikes that aren't in proper working order. 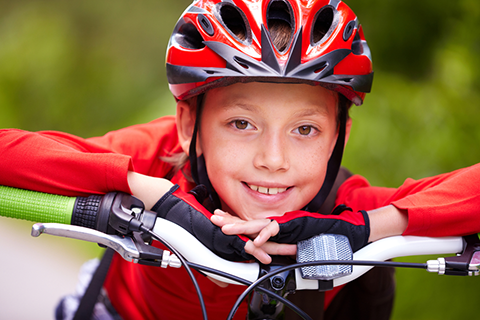 Take time to ensure your child's bike is in good working condition, including the brakes. And make sure they understand the basics of bike riding, such as how to go down a hill or ride safely in traffic. 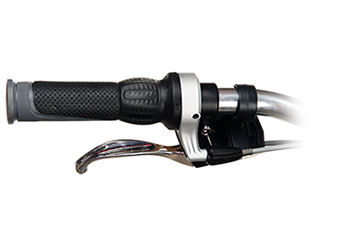 One small but very important detail about your kid's bike: make sure the handlebar ends are capped. Without these caps, the ends of the bar are like a hollow pipe, which can be very dangerous. We've had a number of kids come into the ED with severe injuries to the abdomen after being impaled by an uncapped handlebar. Of course, there is no guarantee that following these tips will eliminate the possibility of injury for your child. But doing so will increase the odds your child spends his or her days playing outside this summer rather than visiting a hospital emergency department. Dr. Darcy Beer works in the emergency department at Children's Hospital at Health Sciences Centre. This article was originally published in the Winnipeg Free Press on Friday, July 14, 2017.